Former tabloid editor Piers Morgan says he was unaware of any phone hacking going on while he was in charge of the Daily Mirror. Mr Morgan, now a broadcaster in the United States, told the Leveson inquiry into media ethics that he had very little sympathy with celebrities who used the press for publicity and then claimed that their privacy had been invaded. 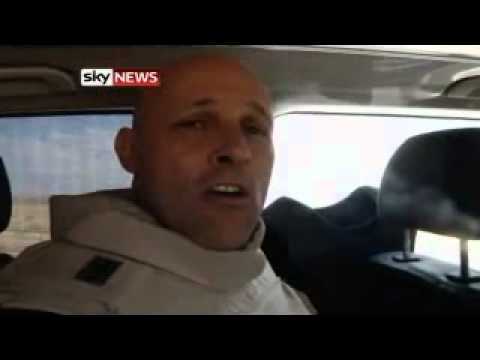 Sky News security editor Sam Kiley has come under fire from Colonel Muammar Gaddafi’s men while reporting from the scene of a coalition airstrike that killed at least 14 rebels. Kiley and his team were targeted by long-range artillery as they walked towards the charred wreckage of rebel vehicles by the side of the road near Brega. Rebel fighters accompanying them fired back, but were unable to see where the attack was coming from. Kiley and his team escaped unscathed.